If you've been in the credit game for quite some time, your credit report may be inundated with entries. However, there's a possibility you may not fully understand how credit reports are used, or what any of the information in each section means. According to myFICO, "lenders and other businesses use the information in your credit report to evaluate your applications for credit, loans, insurance, or renting a home." Cell phone and utility providers, rental car companies, and employers in select industries may also evaluate your credit report. Your FICO score will play an integral role in determining if you qualify for credit, but lenders will also review your credit report to gauge your creditworthiness. Several late payments and delinquent accounts may communicate to lenders that your risk of default is high, and the credit terms need to be adjusted accordingly. Creditors may also evaluate your credit report if you apply for a credit line increase. Poor credit scores may result in denial of credit, or the company may charge you higher interest rates or require security deposits. Similar to applications for credit, lenders will also analyze your credit report and FICO score when you apply for an auto, mortgage, or personal loan. The contents will more than likely determine the terms of the loan agreement, including the interest rate and payment terms if your application is approved. Select auto insurance providers analyze your credit reports to generate a credit-based insurance score that evaluates riskiness. "To establish eligibility for payment plans and to help determine insurance rates, most U.S. insurance companies, including Esurance, use credit-based insurance scores, along with your driving history, claims history, and many other factors," notes Esurance. When you submit your rental application to the landlord, they will screen your credit report to determine if you qualify for tenancy. Your credit score may also be considered. You may also be required to undergo a credit screening when applying for service with a new cell phone provider. Credit issues may not be enough to bar you from obtaining service, but there's a strong possibility you'll have to submit a hefty deposit. A negative credit report may not necessarily disqualify you from having utilities turned on in your name, but it could mean you have to submit a deposit that can be used for collateral if your account becomes delinquent. Prospective employers may wish to evaluate your credit report as part of the screening process, but they must obtain your written permission to do so, according to the Federal Trade Commission (FTC). If you plan to rent a car with your debit card, you may have to undergo a credit screening. This includes an analysis of your credit report to confirm all your accounts are current. Personal Information: This section includes your name, address and employer information. This information is typically derived from information included when you apply for credit. Potentially Negative Items: This section includes details about all the accounts that are currently delinquent, along with public record and collection items. Accounts in Good Standing: This section includes details about all of your revolving or installment accounts that are current. Credit Inquiries: This section includes all the voluntary and involuntary inquiries for your credit report. It's best to examine each section independently to get a thorough understanding of what your credit history entails. If you are unsure about a particular entry, call the creditor's phone number listed on the report or contact one of the three credit bureaus directly. 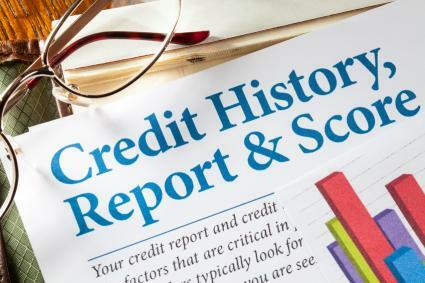 Credit reports can be used in many ways, so be sure to confirm the accuracy of the contents to ensure creditors and employers are viewing accurate information.